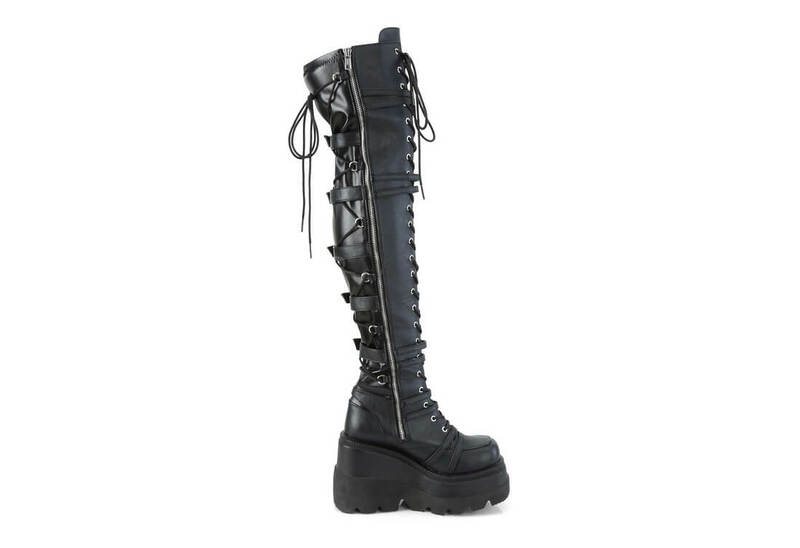 These awesome boots have a 4 1/2 inch platform wedge and are made from black stretch vegan leather. 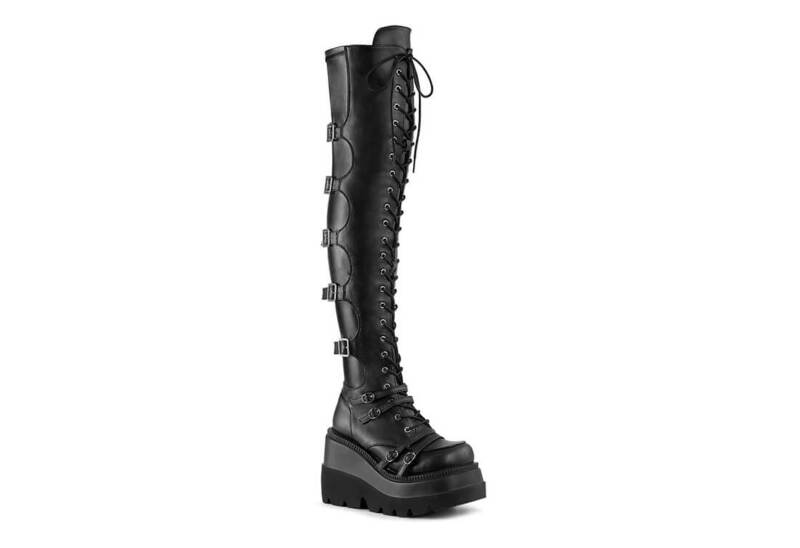 The front laces up with side buckles up the side of the boot. 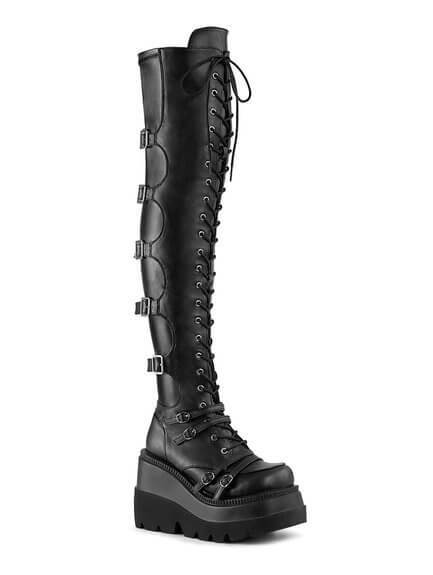 These 23 eye boots extend over the knee and look fantastic. they also have a side zipper making taking them on an off a breeze.